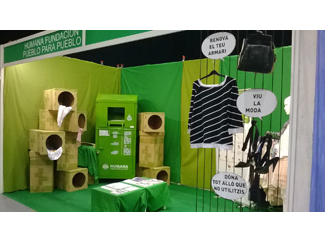 From 8 to 11, May Humana will be present for the second consecutive year at the organic products and responsible consumption fair BioCultura Barcelona, to be held at the Palau Sant Jordi. The Foundation explained the audience the work being carried out around the protection of the environment, cooperation for development, awareness, social agriculture, textile recycling and sustainable fashion. The Foundation stand is number 387 and is located in Hall 2. 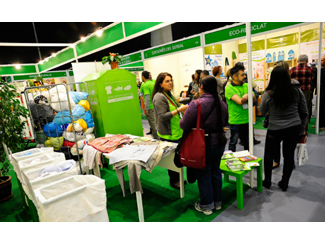 According to organizers, BioCultura Barcelona around 70,000 people pass through the fair, which will feature 700 exhibitors and over 16,000 product references the 'bio' section: organic textiles, eco-materials , renewable energy, ... and also, of course, recycling. We will also be present in the space shuttle MamaTerra: Saturday and Sunday will hold a workshop puppet aimed at children aged 4-12 years. This is a fun way to learn the values of textile recycling, environmental protection and climate change. The workshops will take place on Saturday, May 10, from 11 to 13, and from 17 to 19h and on Sunday May 11, 11 to 13h.